1. 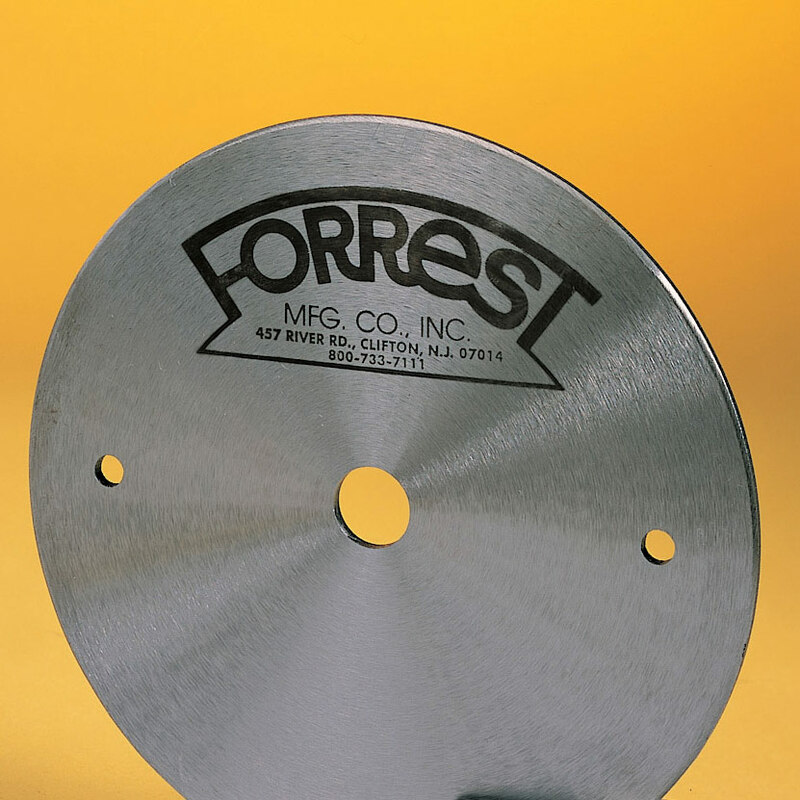 Forrest Sawblade DAMPENER helps kill saw scream-whistle from a vibrating blade surface. 2. Dampen out motor and belt vibrations from being transmitted up to the rim of the teeth. 3. Greatly reduce cutting noise. 4. Hold blade rigid and true for better cuts on your machine. 5. Are hardened and precision ground flat within .001" to keep your blade true. 6. Can be removed instantly if need requires. ** Normally best results are obtained by selecting one stiffener 1/2 to 2/3 the sawblade diameter and mounting it against the outside of the sawblade; (a 10" blade uses a 5" stiffener). ** Be sure any bumps or scratch-burrs on used saw blades are stoned flat for dust-free metal-to-metal contact between stiffener and saw blade. Mount with normal arbor nut and washer. Not for Chop Saws. 8", 1-1/8", 32MM, 1", 30mm, 1-1/4"
9", 1-1/8", 32MM, 1", 30mm, 1-1/4"
10", 1-1/8", 32MM, 1", 30mm, 1-1/4"